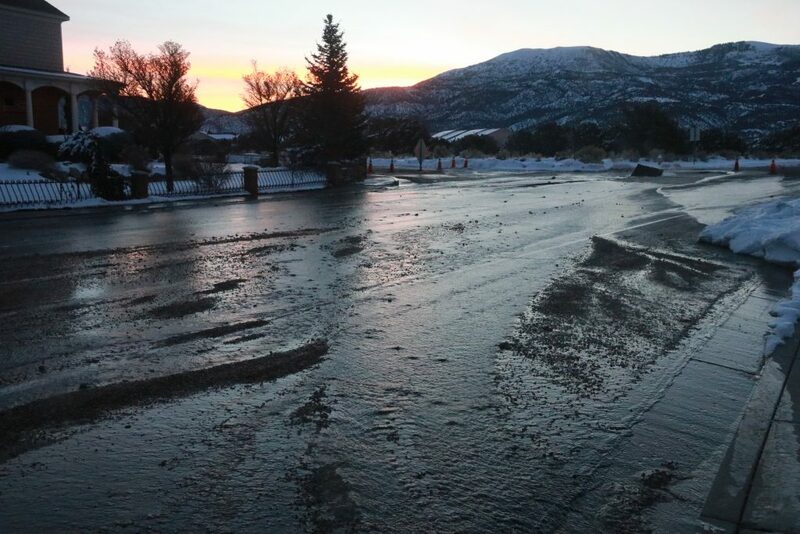 CEDAR CITY — A broken water main on Cove Drive Tuesday morning has caused city public works crews to shut off the water to residents in nearby neighborhoods. 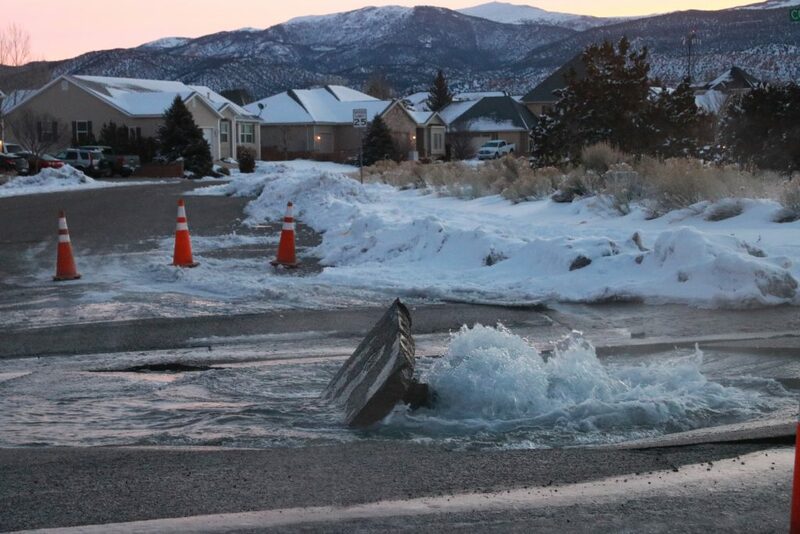 The incident was reported at approximately 7 a.m. As of 7:15 a.m., water was seen gushing from a hole in the street near the intersection of Cove Drive/Royal Hunte Drive and 700 South/Church Street. 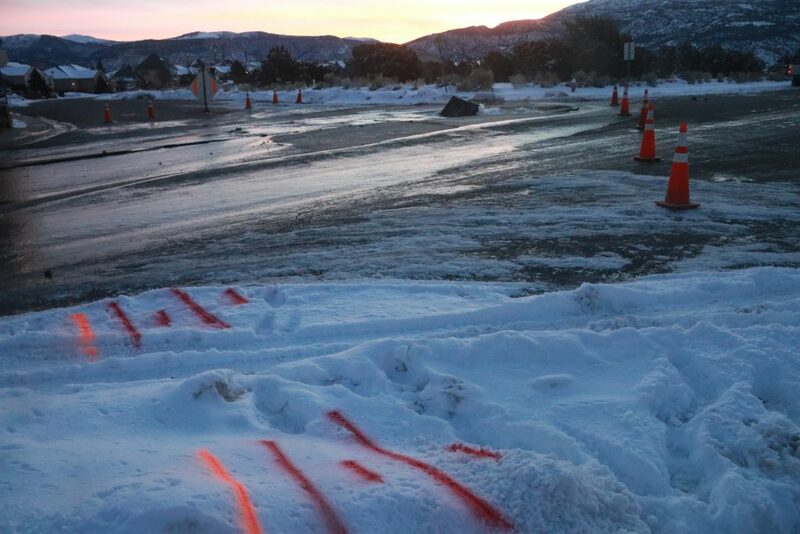 Crews are in the area working to repair the damage, authorities said. 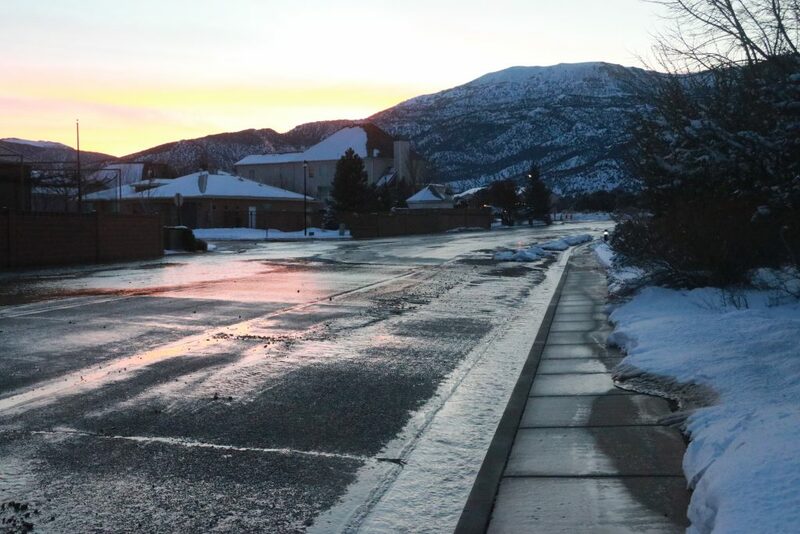 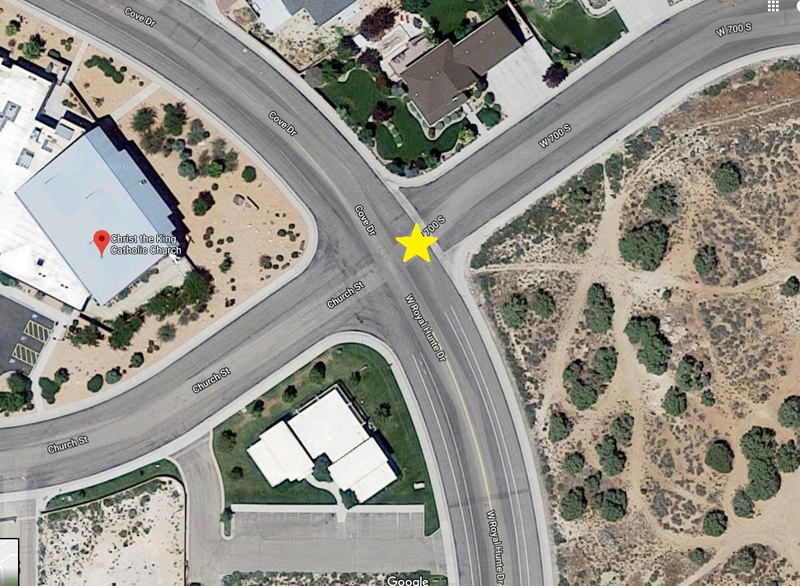 Traffic in the area along Cove Drive/Royal Hunte Drive is being diverted through the parking lot of Christ the King Catholic Church, Cedar City Police Sgt. 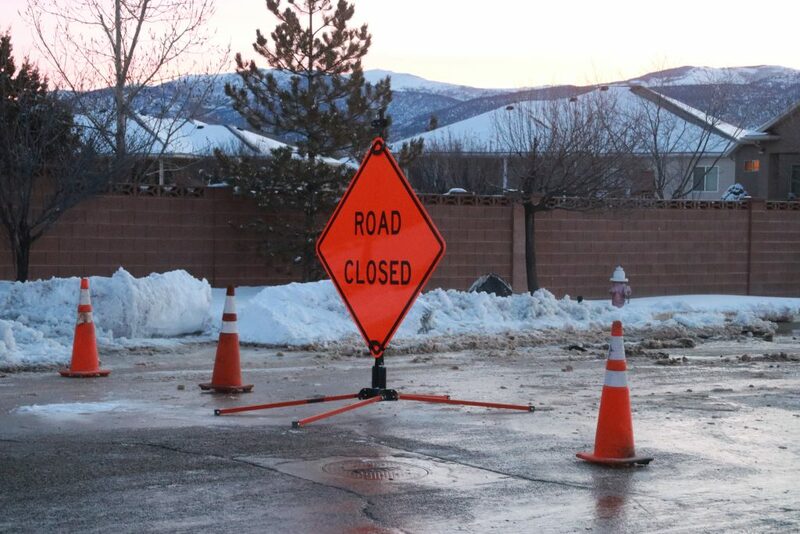 Clint Pollock told Cedar City News. 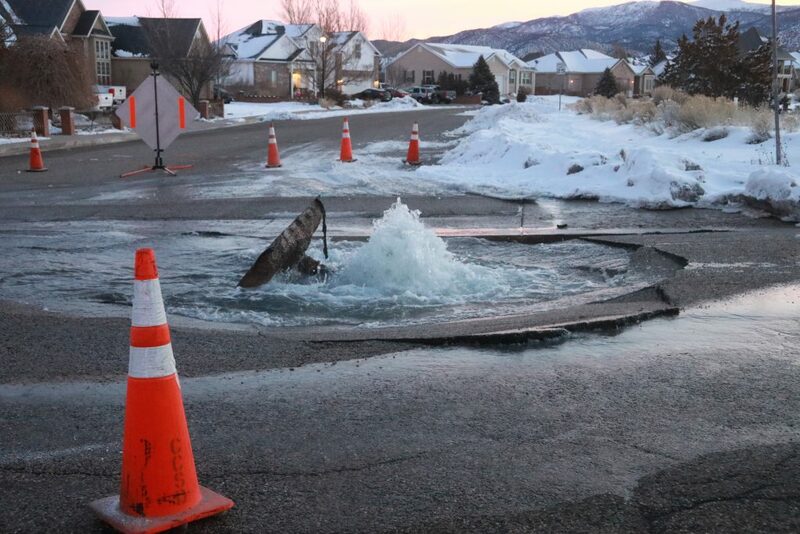 According to a Facebook post by Cedar Communications, water has been shut off in the surrounding area and will be off for an undetermined length of time.